There is one day left to join the million plus people who have already cast early ballots. ATLANTA -- Early voting numbers in Georgia have already surged past 1 million, according to numbers from the Georgia Secretary of State's office. As of Sunday, Oct. 31, more than 1.66 million people had cast early votes, with more than 1.4 million of those taking place in person at an early voting location. 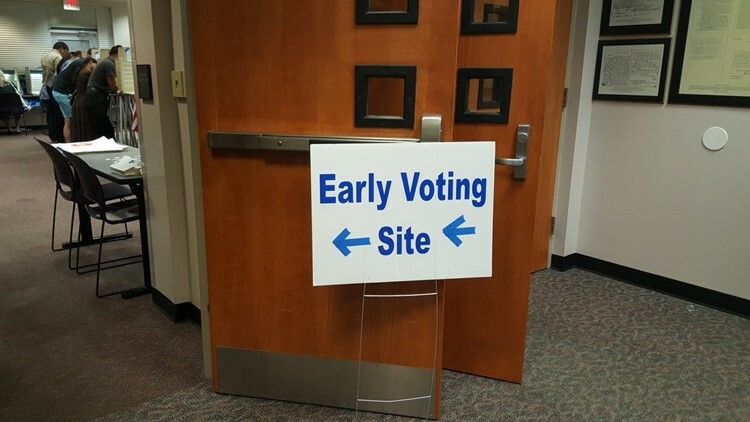 Early voting continues across the state through Friday, Nov. 2. Voters do not need to vote in their home precinct as long as they vote within their home county during the early voting period. Click on your home county below for information on early voting locations and hours. If you have any questions, please call the Secretary of State's Elections Division at 404-656-2871 weekdays from 8 a.m to 5:30 p.m.